My studio is surrounded by beautiful gardens. Here is where I make wearable art accessories and wall pieces using dyes and surface design techniques on natural fabrics. 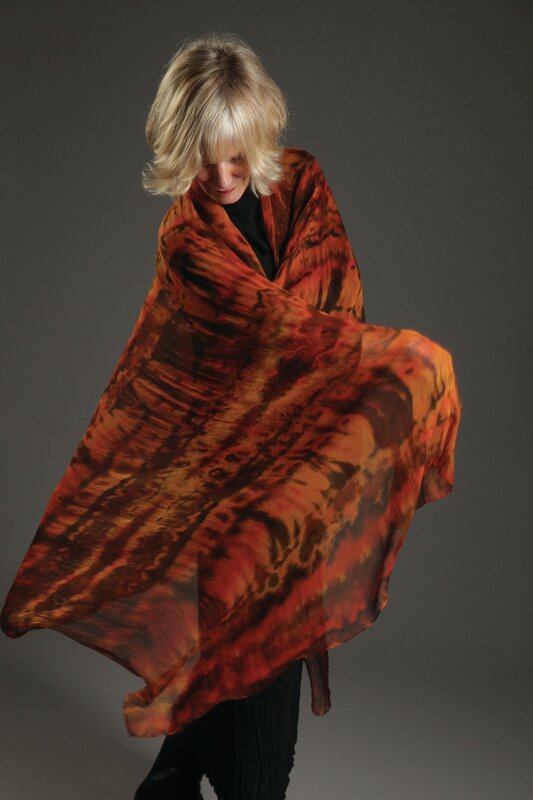 My goal is to create cloth with beautiful, complex color patterns and textures that come alive on the human body. DIRECTIONS: From the Clinton ferry, go north for 7 miles. Turn right on Bayview Rd, go straight through the stop sign and proceed 1 mile. There is a lake on your left as you take a right on Quigley Rd. Turn right again at Doe Run and follow to the house at the top of the hill. Park as directed. From the north, turn left on Bayview Rd. and proceed as above.